With a hair that doesn’t know where to stand, I have always aimed to find a perfect straightener. My hair can be very frizzy and straightening it could take a good hour if using a bad one – believe me, I have been there. Finding something that would straighten my hair without a problem while still leaving it very sleek and shiny was my goal and knowing that NuMe is a highly loved brand that is also used by a lot of professionals, I made the decision of investing in one of their products. I wanted something that was good and quick and doing the job but also very travel friendly. 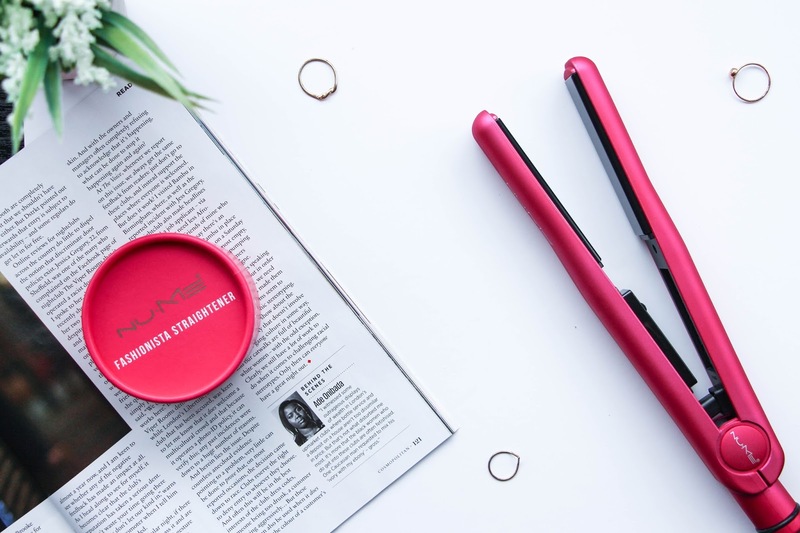 I also love to curl my hair using a flat iron and so that was also a criteria so when I came across the NuMe Fashionista Straightener, I never looked back. This straightener retails for $129 and it is totally worth every penny. If you are willing to spend a bit of extra money on a good hair styling tool, NuMe is a brand that is worth having a look at. NuMe brings the quality and technology found in Europe’s finest salons right to your home. Let me tell you in advance that all of their products are totally worth the money and the hype and I know this just by trying the NuMe Fashionista Straightener. This is a 1” straightener with a temperature control from 60ºC to 230ºC and with Tourmaline-Infuser Ceramic plates that guarantee sleek and smooth hair in less time with no tugging or pulling to the hair and I can’t tell you how much I am thankful for that! My other straightener would break my hair so easily just by pulling it and it was so annoying! This straightener also includes 600 percent more negative iron therapy than any other flat iron (uhh, so fancy!) to safely heat style hair into beachy waves or super straight tresses. 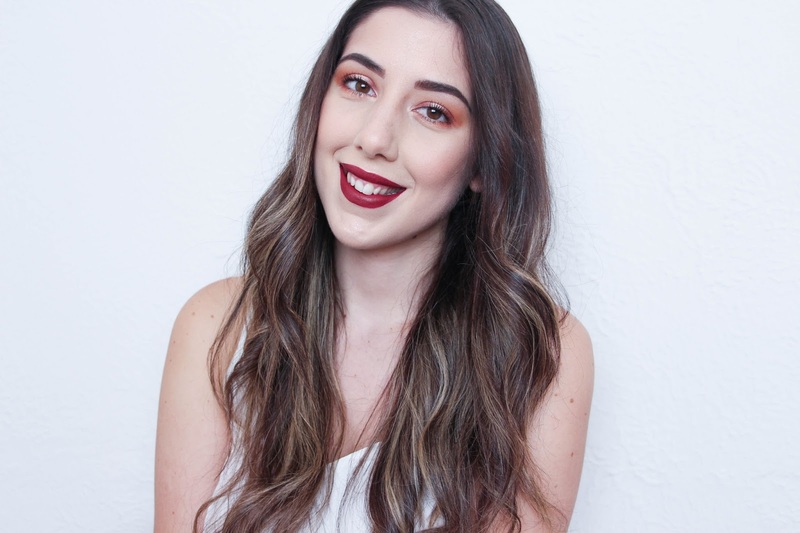 I set the straightener at it’s highest temperature (230ºC) because my hair is that stubborn and I section my hair in two putting the top half in a bun and start straightening/curling the bottom half grabbing small sections – about one to too inches wide – and in 15 to 20 minutes I am done. With this flat iron I can achieve perfect straight hair, beautiful bouncy curls or beachy waves. It all depends on how you use it! I love that I can achieve different looks with just on tool that leaves my hair sleek, shiny and with barely any flyaways! Although this straightener includes high technology that protects your hair against the heat, I never dismiss a heat protecting spray and you should too. 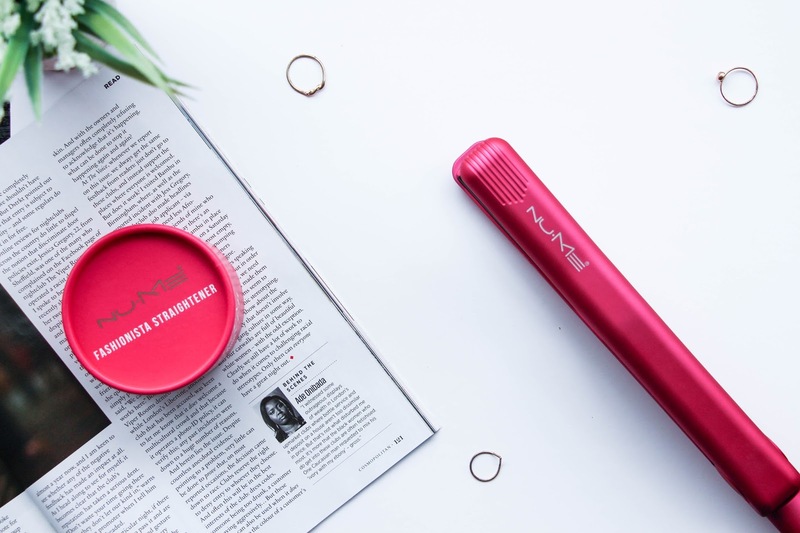 Our hair is precious and we should take really good care of it and that includes not only a good hair care routine but also by using tools that are also our hair’s best friend and NuMe is such a great choice! Have you ever tried any of their hair styling tools? *Their website is currently offline so the price is yet to be confirmed and I will put some links up as soon as the website is available.